DUBLIN, Ireland, 2019-Jan-30 — /Travel PR News/ — Laudamotion, Austria’s No. 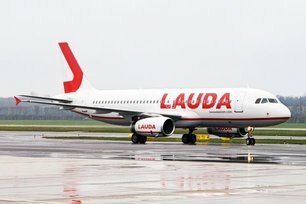 1 low fares airline, today (29 Jan) confirmed that Ryanair has completed the purchase of 100% shareholding in Laudamotion GmbH from NL Holdings in late December. Laudamotion now becomes a 100% subsidiary of Ryanair Holdings Plc, the Group which owns Europe’s largest airline. This entry was posted in Airlines, Airports, Business, Travel, Travel Management, Travel Services, Travelers and tagged airline, Andreas Gruber, Austria, Laudamotion, Ryanair, Vienna. Bookmark the permalink.